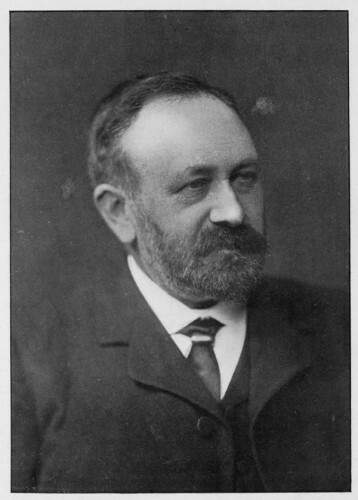 Bio Notes: John Hutchison was born in Paisley c.1841, the son of Archibald Hutchison of Fairhill, shawl manufacturer, and his wife Jessie Lauchland. He was educated in Paisley and at Glasgow High School and was articled to John Thomas Rochead. He commenced practice on his own account at 14 Causeyside, Paisley, some time prior to 1868. Although he subsequently practised in Glasgow, he continued to live in Paisley and a large part of his business came from there. He was a member of The Club at Paisley and of the Imperial Union Club, Glasgow. In his later years Hutchison depended heavily on talented assistants, notably Andrew Black, Charles Rennie Mackintosh, and Thomas Ramsay. He was admitted FRIBA on 21 November 1898 having been 'recommended by Council of an Allied Society under Bylaw 9'. Hutchison died of a cerebral haemorrhage on 24 May 1908 at Fairhill, Park Road, Paisley. 1874 Spiersfield House Paisley Renfrewshire Scotland Original house - HS says this is by Hutchison. Presumably also coachhouse and cottage at this period. 1898 Mossvale School Paisley Renfrewshire Scotland Workshop etc. British Architectural Library, RIBA 2001 Directory of British Architects 1834-1914 States that Hutchison resigned in 1911, but that was probably the date at which unpaid subscriptions came to the RIBA's notice.